Ok, today’s recipe, a stewed dish. As I mentioned before, not everything in northeast Chinese cuisine is about stir-frying; the most representative dishes are actually stews. So here is one of the most common one — “mess stew”. – Ha.. “Mess stew” is a direct translation from its original name in Chinese, “Luan dun”, which literally means “to put everything together to stew”, without any particular “rules”. Different people, however, cook it differently. 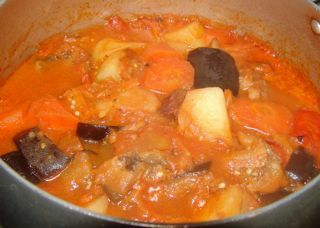 For example, if you look a bit around in the internet, you will find recipes that mix potato, pork, aubergine, green beans, cabbage, and many more things together. I have to admit that I have never tried this kind of mix before, in restaurants, it is almost impossible to find this dish, as it is so ‘homey’, so it is really difficult to say which ingredients are more ‘standard’. My grandma’s recipe really does not seem too ‘messy’, it is quite “neat” compared to others. Can you leave the meat out? — I tried to make it without meat — as I am not very fond of meat, but then, I realized that meat is key to its taste, even a small piece makes a difference — it is just like my mum said: a small piece of beef can ‘lend’ some flavor, especially if there are not many seasonings in the dish. It is really really easy to make, but takes around 30 minutes to ‘boil’. Here you go. Oil, ginger, sichuan peppercorn, salt, light soy sauce. 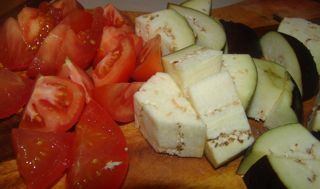 1) Chop the beef, tomato, aubergine and potato into small cubes. 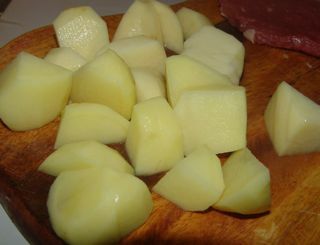 2) Chop a good piece of ginger into strips or slices. 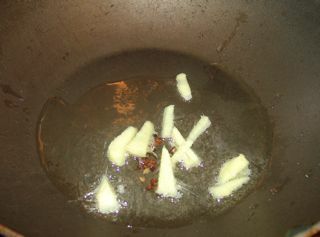 2) Add in a small pinch of sichuan peppercorn and sliced ginger in the wok. 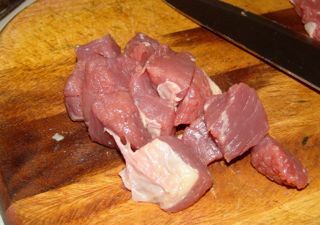 3) Until the smell of the two ingredients raises up, add in beef cubes first, stir-fry them, until the colour changes. 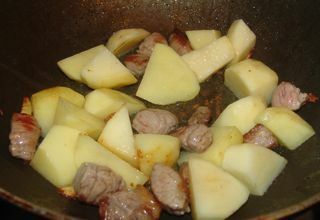 4) Then add in potato, stir-fry with beef. 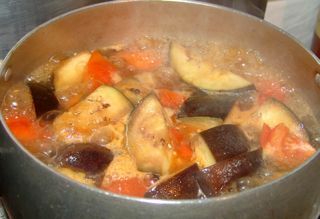 5) Until potato is half soft, add in chopped tomato and aubergine. My experience — to allow the surface of the aubergine has full contact with oil, but not soaked in the oil, otherwise, the aubergine will not absorb the taste well later. 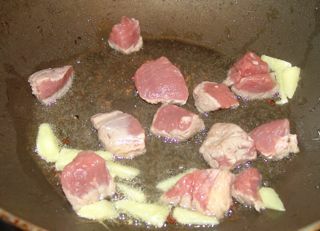 6) Then transfer the content to a deep sauce pan, or keep them in the wok if your wok has a lid. Then add water just enough to cover the content. 7) Add in around 2 tablespoon of light soy sauce, around 2 full tablespoons of salt (probably a bit more if you like), mix well, then cover the lid. I like to serve it with plain boiled rice, or steamed Chinese bread.